With sweet illustrations and simple text, this child-sized book will win the hearts of little ones ages 2 to 6. A page each day for one year takes both parents and child through the Bible from Genesis to the Book of Acts. Also included are prayers and "talkabouts" -- take-away thoughts to help parents reinforce each day's reading with their child. 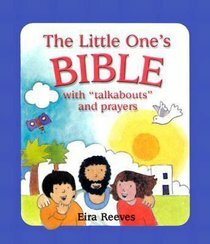 About "The Little One's Bible"